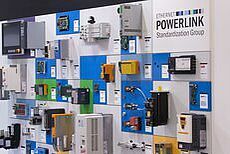 At this year's SPS IPC Drives (Hall 2, Booth 458) the Ethernet POWERLINK Standardization Group (EPSG) will be showing how the open, standardized protocols POWERLINK, openSAFETY and OPC UA TSN dovetail with each other to create state-of-the-art communication architectures with advanced safety and security features. The TSN Ethernet extension makes OPC UA deterministic. In combination with the openSAFETY protocol, it now meets all the requirements for safe line automation at the factory level. OPC UA provides semantic descriptions of information models and security mechanisms that facilitate the convergence of IT and OT. At SPS IPC Drives, the EPSG will demonstrate how interface-free communication will soon provide seamless connectivity from the sensor layer to the ERP layer and into the cloud. The foundation for this has been laid with the companion specification for OPC UA and POWERLINK. Also on display at the EPSG booth will be new products from the group's members featuring IEEE 61158 POWERLINK interfaces, including a managing node solution from IBV for the QNX operating system. Robodev will show how it integrated POWERLINK into the open source Robot Operating System (ROS) and what types of projects it can be used for. An interactive demo cell will demonstrate how ABB robotics mesh with SPINNER infrastructure components. At SPS IPC Drives, the EPSG will show how POWERLINK and openSAFETY combine with OPC UA TSN to create open architectures for real-time Industrial IoT communication.